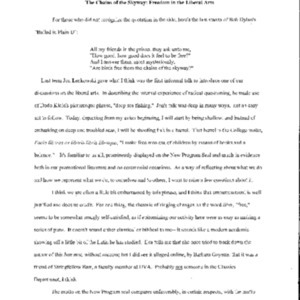 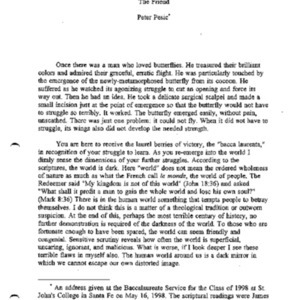 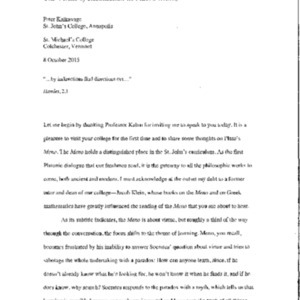 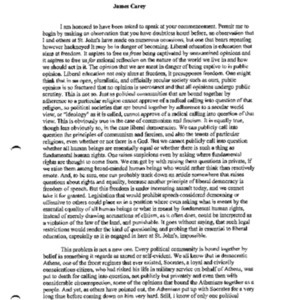 Typescript of a lecture given by Jonathan Tuck. 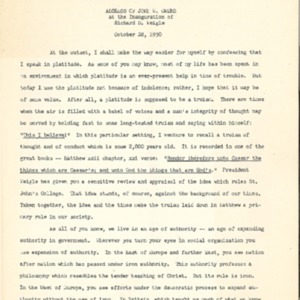 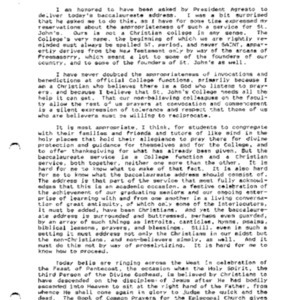 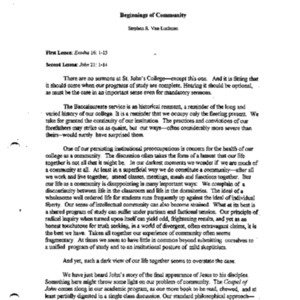 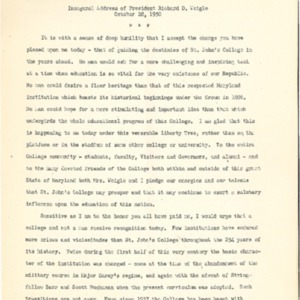 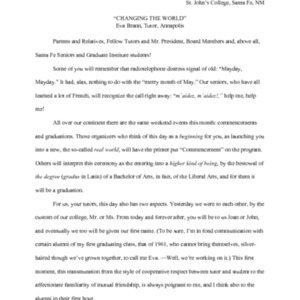 The Inaugural Address given by St. John's College President Richard D. Weigle on October 28, 1950. 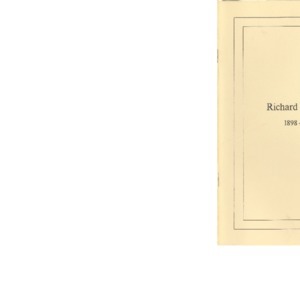 Program of the transcript for the memorial services of Tutor Richard Scofield, held in The Great Hall on the Annapolis Campus, October 17, 1970. 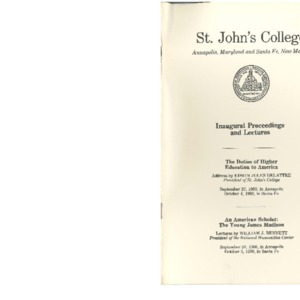 Address of John W. Owens at the Inauguration of St. John's College President Richard D. Weigle on October 28, 1950.